The Suurpelto city concept aims to be ecologically sustainable. New and innovative solutions will increase energy efficiency in both construction and society. ICON Real Estate Funds, established in 2010, is boldly taking the traditional high-rise building into a more ecological and smarter direction. The goal is to build tomorrow’s homes today. Founded in 2010, ICON Real Estate Funds Ltd. is one of Finland’s most lucrative real estate investment funds, the heads of which, Markus Havulehto and Teemu Nuutinen, have no lack of courage or vision. – We build environmentally-friendly and energy-efficient buildings, for a better tomorrow as well as a tangible profit today. Energy efficiency is close to our hearts, and it will become an even stronger emphasis in the future, Havulehto summarized. ICON especially focuses its investments in the Helsinki Metropolitan Area and growth centers. – The Helsinki Metropolitan Area is currently home to about 1.4 million people, and it is estimated that by 2050, the figure will be more than 2 million, Nuutinen says. The idea behind the company’s thinking, then, is to follow the global trend of urbanization. – It is predicted that in the next 40 years, the number of buildings constructed across the world will be equal to the number that has been constructed during the entire history of human civilization to date, says Havulehto, smiling. What kind of real estate is needed in the future? ICON believes firmly in ecological values. – Our vision for the future is to build self-sufficient buildings that produce their own energy. We also want to be the trendsetters in taking advantage of the potential of innovation and digitalization, because we feel that in this area, construction is still dramatically lagging behind other sectors. Digitalization makes possible effective metering, for example, which enables measurement of all assets used by the customer per apartment, up to and including heating, Havulehto says. A new way of thinking is also being introduced into construction solutions. – For instance, even the smallest of the apartments requiring a sauna will not need to lose a square meter of space to have one. The sauna will be placed on the roof and can be run by an outside entrepreneur, accessed using a smart key, and paid for according to use. Even the door to your home may be opened by a smart key, the losing of which does not mean the replacement of the whole lock system. Small things that, at the end of the day, do have a significant importance, Nuutinen concludes. Many of these ideas will be materialized in the coming years in Suurpelto, Espoo. ICON Real Estate Funds Ltd. will manage the Suurpelto central block project (ICON Plaza), in which there will be a four residential apartment complex. For real estate investments, an 8% interest rate is guaranteed! Do you want to invest in a building for the future? You can get involved with as little as a € 1,000 minimum investment. 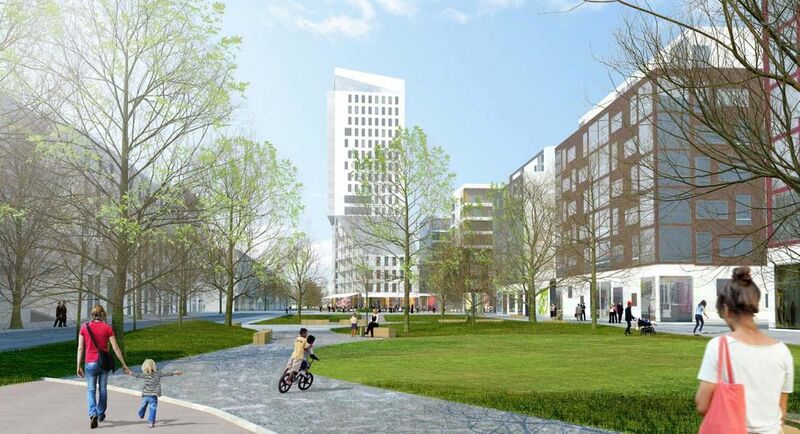 The invested assets will be targeted to financing the ICON East Plaza object to be built in Suurpelto, Espoo. ICON Kiinteistorahastot rakentaa ympäristöystävällisiä ja energiatehokkaita kiinteistöjä, jotka ovat arkkitehtuurisesti kauniita, joissa on miellyttävä asua ja jotka ovat mukavia käyttää.